New moons are quiet times of the lunar cycle, when the moon joins the sun to honour the zodiac sign of the season with a special focus. In February, the new moon falls in line with Lunar New Year, a major new beginning in eastern culture – read your Chinese Horoscope for the year of the pig, here! Monday February 4th 2019 – Los Angeles 1.03.33 pm, New York 4.03.33 pm, London 9.03.33 pm, Tuesday February 5th 2019 – Hong Kong 5.03.33 am, Sydney 8.03.33 am. What About This New Moon? Moon sidles up to sun in the cool, water bearer’s sign early in February, with Mercury in close quarters adding clarity and extra insight. The ruler of the new moon is Uranus, which is completing its (eight year) tour of Aries. Mars is closing in on the planet of spontaneity, rebellion and change, and the two will meet on Valentines Day – an explosive and dynamic moment! We’ve moved on from the intensity of the eclipses, yet the all-important nodes of fate are being teased and triggered by Uranus, which is in a 90º angle to the nodal axis, bringing a sense of aggravation and antagonism! There’s unfinished business, and perhaps some final breakthroughs to help the next stages of evolution. Venus will connect with the south node in the last week of February, calling for extra levels of charm, dignity, gracious deportment and composure – even if we don’t get exactly what we want! Get Radical – From the company you keep to your own physical appearance, this new moon is ideal for invoking change, or putting the final stamp of approval on any existing turnarounds. Spice up your look with color and alternative styles that are out of the ordinary. Go against the grain. Be Daring – With Mercury-power infusing this new moon with a brainy edge, ideas can be extra genius and innovative now. 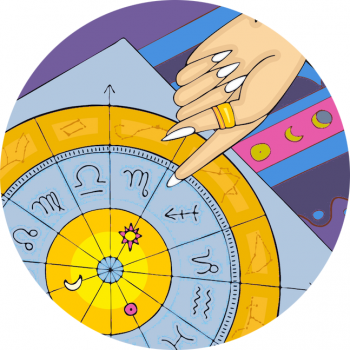 There’s a sense of risk, and the potential to gamble with what’s on the table – note the bold and heady mix of Jupiter, Mars and Mercurial spirited-ness. Gaze Forward – We only get one new moon in Aquarius each year, and although there’s emphasis now in Capricorn’s territory, before you know it the planets will be gathered together in Aquarius. In January 2021 Saturn, Jupiter, the sun and Mercury will all be in this sign, bringing major attention to this area of your chart! Start working on your goals, now.